AVAILABLE JULY 1, 2018 !!! Tranquility and peace in Turtle Rock, the heart of Palmer Ranch! This home is ideal for anyone looking for size and comfort in their next home. 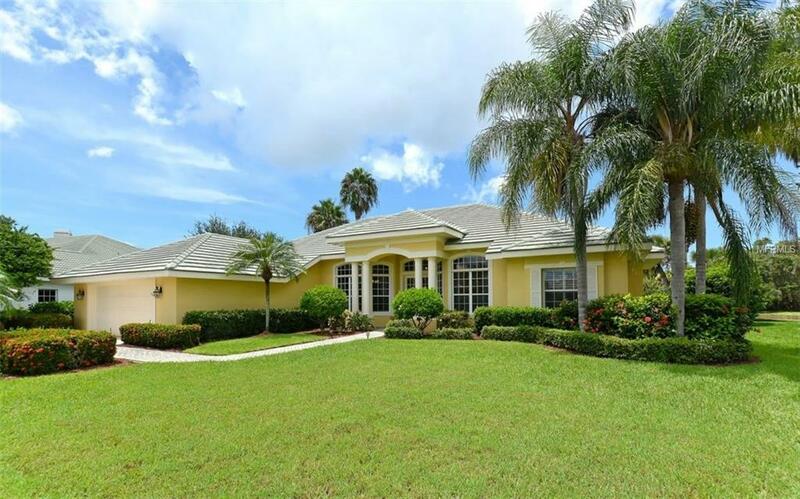 This 5 bedroom, 4 bath home is located along a quiet street in the gated Turtle Rock community. Tastefully updated with granite countertops, crown moulding, and custom cabinetry, this home has it all. All bedrooms are on the ground floor, except for a bonus upstairs bedroom with a private balcony overlooking the pool and lake! The 2 car garage is spacious for vehicles of any size. The pool has been screened in with an enlarged pool deck overlooking a picturesque lake - Kodak-Moment ready for those large gatherings and parties outside! Lawn care, pool care, and pest control are included ! Pets are OK! Available 1 JULY. Listing provided courtesy of Charity & Weiss Int'l Realty.